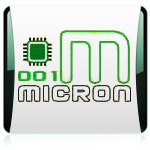 001Micron’s Tools and Technology offers a number of strategic customer oriented software services designed to help in retrieving the lost data. We provide world-class professional services and software solutions including Files Recovery Software, Disk Cleaning Tools, Picture Recovery Utility, Password Recovery Software, Web Utilities, PC Monitoring Tool, Database Converter Software, Setup Creator and useful many more to our customers for the fastest and easiest service at lowest cost. Our Company provides comprehensive set of integrated products and software solutions that enable you to understand and solve all your daily needs in the easiest way. Our award winning software enable you to successfully improving your system performance and for recovering your valuable files and information lost due to virus corruption, malicious damage, file corruptions, accidental deletions or any other similar reasons. Using Micron’s advanced software utilities; one can effectively and efficiently monitor user’s websites, improves PC performance, maintains system privacy, monitors Computer system, convert databases records from one format to another and much more. The software solutions are very easy to use and do not require any specific technical skills to operate it. Our major products are Files Recovery (that provides recovery of data through Windows Data Recovery Software, NTFS Data Recovery Software, FAT Data Recovery Software, USB Drive Data Recovery Software, USB Digital Media Data Recovery Software, iPod Data Recovery Software, Memory Card Data Recovery Software and Sim Card Data Recovery Software), Disk Cleaning (that permanently remove deleted files and folder using Data Wiper Tool), Picture Recovery (that supports picture’s recovery through Digital Picture Recovery Software and Digital Camera Data Recovery Software), Password Recovery (that retrieve your forgotten passwords using Outlook and Outlook Express Password Recovery Software and Internet Explorer Password Recovery and Passwords Unmask tool), Web Utilities (that monitor your websites 24x7 with the help of Website Monitoring Tool and Backlink Checker Utility), PC Monitoring Tool (for monitoring your PC in your absence using KeyLogger), Database Converter (that offers conversion of database records from one format to another using MSSQL to MySQL Database Converter, MySQL to MSSQL Database Converter and MS Access to MySQL Database Converter) and last but not the least is Setup Creator (capable of creating setup files using MSI to EXE Setup Creator).